Albuminuria also called proteinuria or urine albumin—is a condition in which urine contains an abnormal amount of protein. Albumin is the main protein in the blood. Proteins are the building blocks for all body parts, including muscles, bones, hair, and nails. Proteins in the blood also perform a number of important functions. They protect the body from infection, help blood clot, and keep the right amount of fluid circulating throughout the body. In combination with conventional statistical methods, artificial intelligence has now been used in a study of risk factors in type 1 diabetes. The objective was to identify the most important indicators of elevated risk for cardiovascular disease and death. 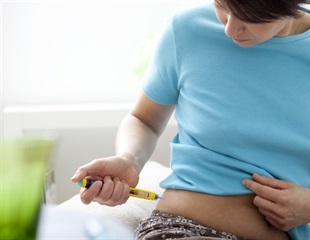 New research presented at the annual meeting of the European Association for the Study of Diabetes and published simultaneously in The Lancet Diabetes & Endocrinology shows how the glucose-lowering drug lixisenatide can slow or prevent damage to the kidneys in macro-albuminuric patients with type 2 diabetes mellitus and cardiovascular disease. Breathlessness and conditions of restrictive lung disease (RLD), such as pulmonary fibrosis, may be a late complication of type 2 diabetes. Keio University Global Research Institute, Tokyo publishes the January 2018 issue of KGRI Research Frontiers that includes researcher video profiles of Keio University researchers and research highlights from high impact publications including 'Regenerative medicine needs collaboration in and out of science in order to face current and future challenges; ‘Does eating fish protect you from depression?’; ‘Insights into the molecular mechanisms leading to kidney dysfunction in diabetic patients’; and ‘Ageing to 100 and beyond: Insights from demographic, phenotypic and genetic studies. A new study indicates that individuals with kidney disease have a higher risk of developing atrial fibrillation, or an irregular heartbeat. People who have protein in their urine, which is a sign of kidney problems, may also be more likely to later develop problems with thinking and memory skills or even dementia, according to a meta-analysis published in the December 14, 2016, online issue of Neurology, the medical journal of the American Academy of Neurology. New research indicates that reducing sodium intake may provide kidney and heart benefits for patients with chronic kidney disease (CKD). African ancestry contributes to the risk of chronic kidney disease among some Hispanic/Latino adults, according to a study co-authored by Loyola University Chicago researchers. Many young adults with abdominal obesity exhibit a readily detectable risk factor for chronic kidney disease (CKD), yet the vast majority don't know they're at risk, according to a study of nationwide health data led by Albert Einstein College of Medicine researchers that was published online today in the journal PLOS ONE. A drug used to treat sickle cell disease may provide an added benefit of protecting patients' kidney function, according to a study appearing in an upcoming issue of the Journal of the American Society of Nephrology. Among patients with diabetes and kidney disease, most receiving an angiotensin-converting enzyme inhibitor or an angiotensin receptor blocker, the addition of the medication finerenone compared with placebo resulted in improvement in albuminuria (the presence of excessive protein [chiefly albumin] in the urine), according to a study in the September 1 issue of JAMA. The Lancet Diabetes & Endocrinology is pleased to announce that the following paper will be published to coincide with presentation at the 52nd ERA-EDTA Congress, taking place in London, UK, May 28 - 31, 2015. Simple measures of kidney function and damage may be just as good at predicting who is at risk for heart failure and death from heart attack and stroke as traditional tests of cholesterol levels and blood pressure, new Johns Hopkins Bloomberg School of Public Health-led research suggests. Physicians treating hospitalized patients for conditions unrelated to the kidneys should pay close attention to common blood and urine tests for kidney function in order to prevent incidental injury to the organs that help cleanse the body of toxins, new Johns Hopkins Bloomberg School of Public Health-led research suggests.